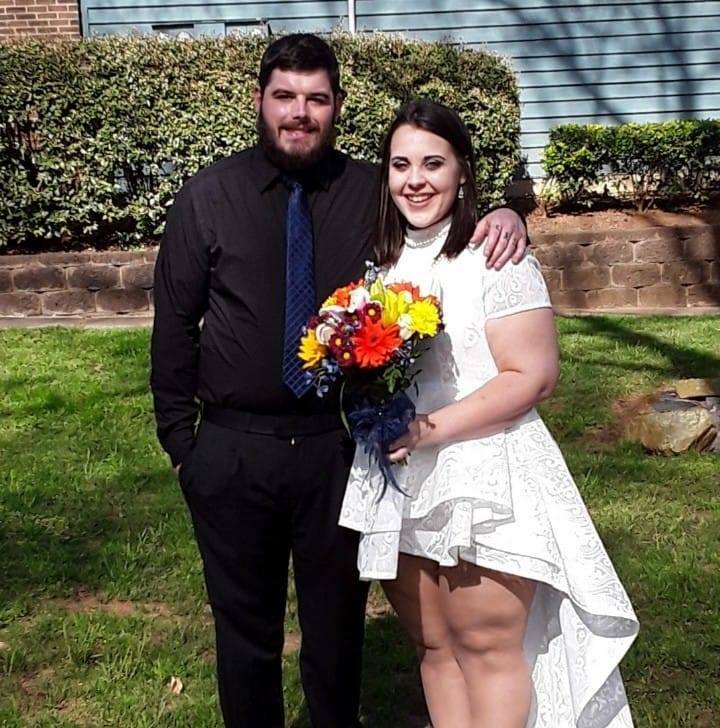 As you all know, we have been working on relocating from Charlotte to Atlanta over the past few weeks since getting married. And, once again, the cost of relocating has caught me off-guard. Before I jump right into the dollars and cents, we had an amazing wedding day. Even though most of our out-of-town folks couldn’t make it in, we truly had a great day. The best part about it was it was honestly what we’d wanted all along. Plus, we spent next to nothing on the celebration (even my dress was only $35). Two days after our wedding, we began the relocation process. We have some plans for a honeymoon down the road but aren’t sure quite when that will be yet. The postponing of the trip has a ton to do with how much the move has cost thus far while maintaining payments on our debt and regular bills. When we were asked to relocate we were told some of the cost would be offset by not having to pay rent (see my last update). We would be living in his boss’ home here in Atlanta, free of charge, for up to a year. But, that isn’t quite how it worked out. After moving here, the owner of the shop notified my husband that the rent would actually be coming out of his pay after the first month. While he would still be making more than he was before (by about $500/month), this was a bit of a letdown financially. We also probably wouldn’t have relocated for $500 per month extra. Additionally, the landlord/boss made it clear he is expecting us to fix up his home while we live here and it would be deducted from our rent. I don’t know about you – but I am not entirely keen on fixing up someone else’s home free of charge. Also, if I had the money to buy and fix a home I’d have my own (and this house needs a TON of work). So far, with relocating, we will spend more than $3,000 to get settled here in Georgia (and probably more once we get our licenses and plates swapped over). Thankfully, we had wedding cash to help with some of the more unexpected things and haven’t had to dip into our emergency savings yet. Here is a breakdown of the cost of relocating (for us) so far. Moving truck for the rest of our belongings: $300, plus gas, food, etc. The biggest cost has been my mental stability (seriously… never move twice in one month). But, the good news is, there have been a number of lessons learned here and, despite it draining us a bit financially, we are optimistic about our relocation and the future. 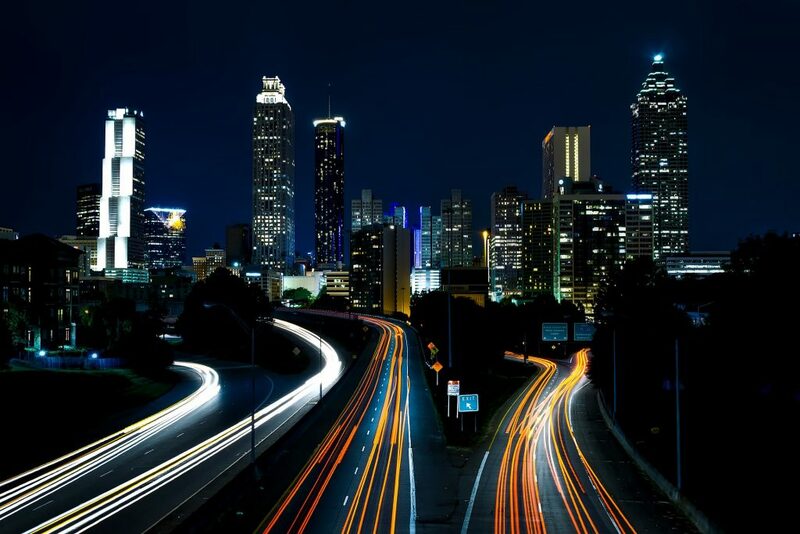 I can’t wait to see what Atlanta holds for us! 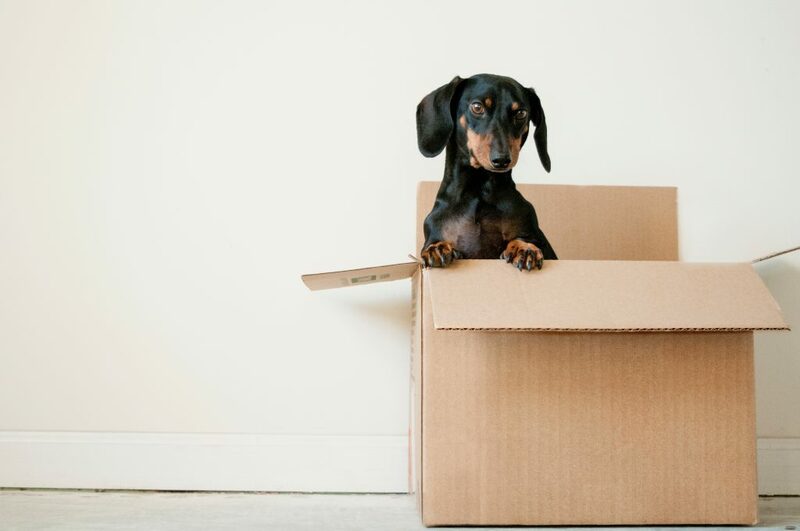 Readers, do you have a crazy moving or relocation story to share? Let me know about it in the comments below. This update has been a couple of weeks in the making but we wanted to make sure everything was final before announcing. In some of my most recent blog posts, I talked about planning a debt-free wedding. That will definitely still be happening but in a different timeframe and manner than we’d originally planned. I’m ditching the dream wedding. We are having a courthouse ceremony next Monday. Then we are moving four hours South to Atlanta! My (very soon) hubby-to-be has gotten his dream job offer down in Atlanta. He’ll be running a Porsche shop there. This is a huge career move for him and it comes with a ton of perks for us as well. Of course, I work from home so there is nothing keeping me rooted here work-wise. In addition to the “dream job,” he will be getting a decent pay raise and we will also have a rental house to live in “rent-free.” I say “rent-free” because it will be considered a portion of his initial salary. The house is only four miles from the shop he’ll be managing. Not to mention, we will finally have a yard for Enzo! All those small perks aside, what has really driven our decision to move forward with this move has been the financial aspect. Yes, of course, this is an absolute dream come true and this could be where my other half spends most of his career. On the financial side of things, we have the opportunity to finally pad our emergency savings the way we’ve needed to. We will have the money to pay off debt (and way faster than we’d initially planned). In fact, if everything goes to plan, we could find ourselves being debt-free in a year and on our way to buying a home. Since my husband-to-be received the offer, we have been over-the-moon excited. It almost seemed to good to be true and I am thrilled to get to start our married lives together in a city neither of us has spent any time in before. It will be a fantastic adventure and will put us on the right track financially for the rest of our lives together. That isn’t to say we won’t miss being close to family and friends. Of course, we will. We will also miss out on the big “shebang” of a wedding we were planning later this year. But, we can always throw a celebration down the road and will celebrate with the immediate family able to make it this week. All in all, I can’t wait to see what this next move does for our family, our relationship, and our finances. And, I can’t wait to keep you updated about it here! Snowball vs Avalanche: Which is the Best Method? There is no secret that becoming debt free requires a fair amount of focus and determination. Sometimes it can seem like the entire universe is against you getting back on track or paying off your loan, credit card, whatever it may be. Here is how I’m able to re-center and find my financial focus after a setback. If you’ve been following our family for the past couple of years, you know I am no stranger to setbacks. After living in a motel for six months, getting into our apartment, racking up some debt, and losing one of our incomes for six months, you think I’d be ready for just about anything, right? In the midst of wedding planning and my regular busy schedule, I got intensely ill in January and it really set me back. First, I was ill with the flu and then I was in the hospital for possible appendicitis (yikes). Then, when I returned to work I got a notification that the state would be garnishing my wages for my 2017 back taxes. I’d been attempting to work out a payment plan but didn’t owe much so they’ll be taking $460 a month until about May or June. When this happened I spiraled a little bit. Forget the wedding, forget our savings plan, forget all of it. However, before I completely overreacted, I decided to take a step back and reset my financial focus. Obviously, this isn’t the first time this has happened. Sometimes, it is hard to focus on the big picture when everything seems like it is going wrong. Because I have the tendency to overreact, I need a go-to list of things to do to recenter my personal financial focus. Set small, obtainable, short-term goals. If you put your mind in the now and set more immediate goals you won’t be able to be bogged down by the “what ifs” of six months from now. Write it down. After you’ve set these smaller goals, write them down. We do this with everything. Whether it is our debt payoff plan, weekly budget, or savings goal. Writing it down helps us set our mind to the task at hand. Then we walk by it daily and are reminded of what we’re working towards. Search for inspiration. I cannot say enough about following fellow debt-free folks! If you follow the hashtag #debtfree or #debtfreecommunity on social media, you will find loads of inspiration. People will share their stories with you, favorite inspirational quotes, and motivational tips to help you continue on your journey. Spend time doing things that make you happy but also make you feel responsible. I like to try and avoid spending money when I feel I need better financial focus. To do this, we have a list of things we enjoy doing that cost little-to-no money. For instance, we have favorite walking trails where we take the dog or scrape for free coupons and grab a coffee together. Lastly, if you’re really struggling to manage your finances, consider speaking with a professional. There is no shame in reaching out for help if you need it. Some financial advisors will even offer up their services for free (or cheap) if you qualify. 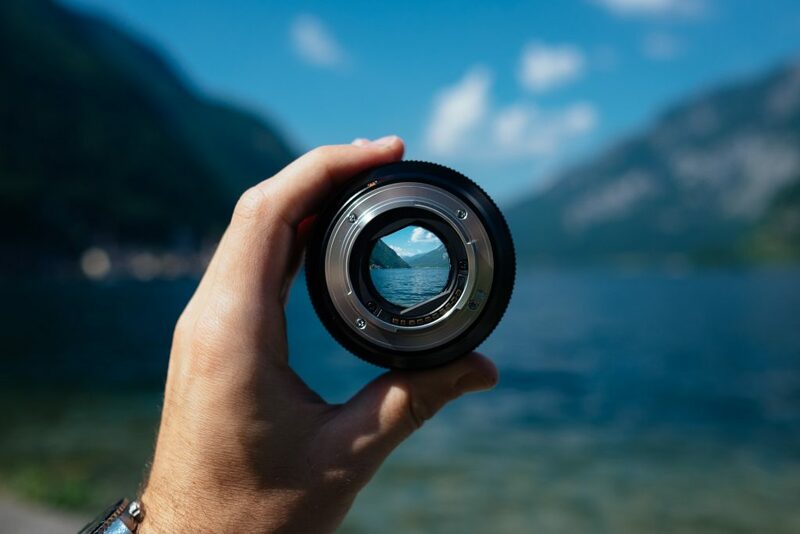 Readers, how do you recenter your focus when it comes to your finances? Debt Snowball vs. Debt Avalanche: Which is a Better Approach? Try This 12-Week Challenge to Save More! Christmas was extremely successful in our home this year. We managed to keep everything low-cost where presents were concerned. However, many of them haven’t gotten in the mail for our relatives out of town (whoops). Christmas Day we went to the dog park with our baby (Enzo) and made homemade lo mein instead of ordering takeout Chinese. We ended the holiday looking forward to creating a vision board for 2019 and setting some New Year’s resolutions. My other half and I have a lot of goals for 2019. This year will be our first year creating a Vision Board together. It will include financial goals, of course, and personal goals for us both. On the personal side of things, we would both like to get married next year. I would also like to train for and run a 5K and lose the last 40 pounds I have to reach my weight goal. Pay off “small” debts by March. The other half’s car will be paid off by March. We will also have our credit cards paid off by then and a small medical bill ($242). Having these things paid off in full will leave us room to pay off other debts, including new tax debt. Focus on tax debt while making minimum payments on other accounts. We owe a little over $9,000 and have established a payment plan with the IRS. With my other half out of work last year, we weren’t able to put taxes aside as we normally do. After we pay down the smaller accounts, we will use all of our extra cash to pay this off. Once it is paid we are also going to begin putting big chunks of cash aside for future tax bills. After tax debts are paid, we will be making extra payments on remaining accounts. Once the IRS is paid, we will start throwing extra cash at the remaining accounts. We will still have our Conn’s bill (about $2,000 remaining), student loan ($22K), car loan ($20K), and the tool bill ($10K). New Year’s resolutions are overrated for the most part. Many people abandon them by the end of March. 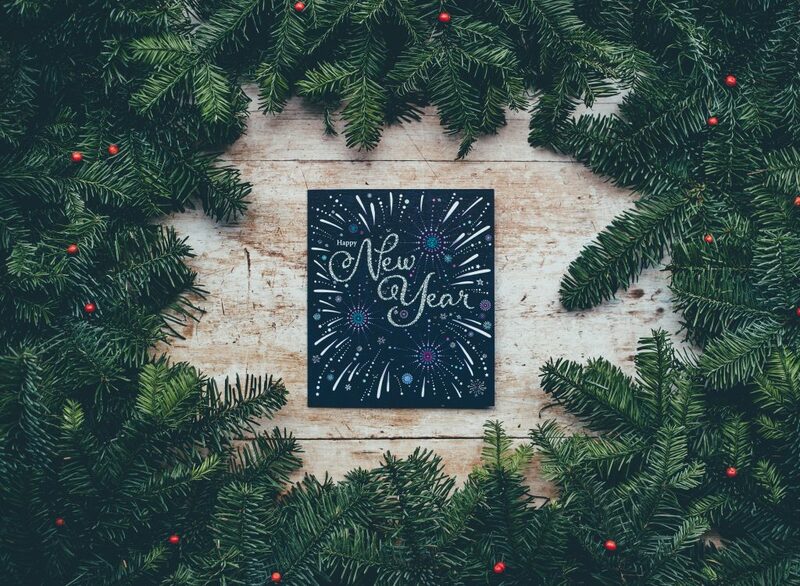 For us, creating a Vision Board is more important than resolving to change in the new year. Instead, we are focused on large goals we’d like to reach by the end of the year. Each of the steps above will be part of reaching that vision and creating a life we want to live. What about you? What are your New Year’s resolutions? Do you create a Vision Board? Debt Snowball vs Debt Avalanche: Which is Better? What is the Worst Piece of Financial Advice You’ve Ever Received? It is super easy to look at your financial situation and feel a bit down, especially when you’ve been in a situation like we have been. There’s no doubt that most of our finances haven’t been easy in the past two years or so. However, we’ve finally gotten a bit of a break and I’m feeling extremely optimistic. So, here’s the latest on how we’re one account down, employed, and feeling awesome! The first piece of awesome news is that we have paid Rent-a-Center off completely! If you’ve ever bought anything from them, you know what a terrible mistake it is (stay tuned for a Rent-a-Center hate letter). Obviously, we won’t be buying anything from them again, ever. We made our last payment of $205 on Monday and were ecstatic. That will save us nearly $300 per month that we can now put towards our heftier debts. Another way we’ll be able to save more next month and in the months to come is that we no longer have to pay storage on my other half’s tools and toolbox ($50 per month). He starts his new job on Monday! It is a substantial pay raise from his previous position and, of course, after being out of work since June, it will be a huge help financially. More importantly, he will be doing what he loves again. So, things will be getting back to normal around here pretty soon. Almost immediately after getting the great news and the progress of being one account down, we started excitedly talking about being able to pay off other items at a quicker pace. Our current credit card debt is sitting at about $2,000 collectively, which we aim to have paid off by the end of the year. Not to mention, I’ll begin making payments on my student loans again in December and, once those credit cards are paid off, I’ll be able to through more money on my car loan each month as well. On top of all of that, we also will have Drew’s car paid off pretty soon ($650 left on the loan). However, we both realized that maintaining focus at this time will be important. Although we are both ecstatic with the new job and being able to get back on top of things financially, we are still focusing on small goals to make sure we stay on track. As you may have read, our first goal is to get $1K saved. We should have that done by mid-November. Then we will really be able to start making serious progress on our debt free journey. Do you have any advice for us? 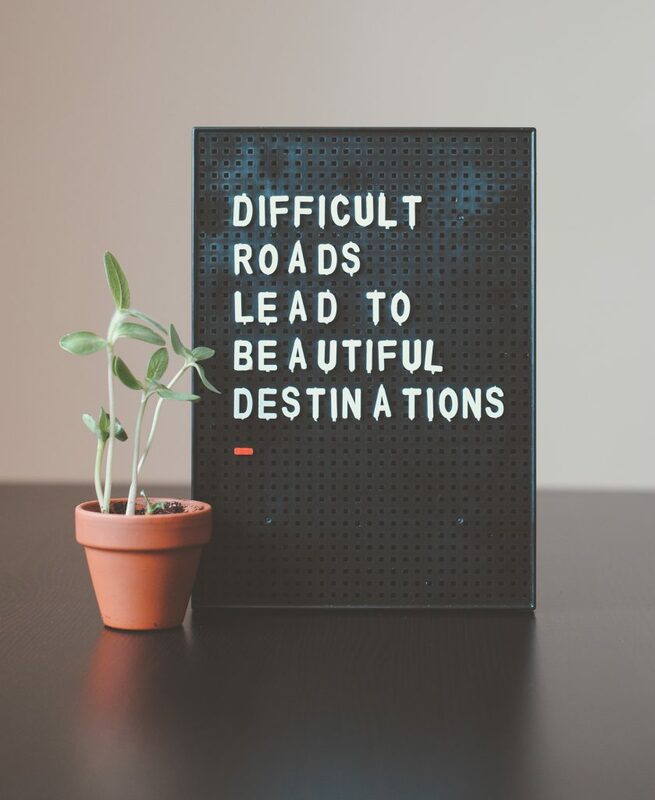 If so, I’d love to hear about your progress on your personal financial journey! 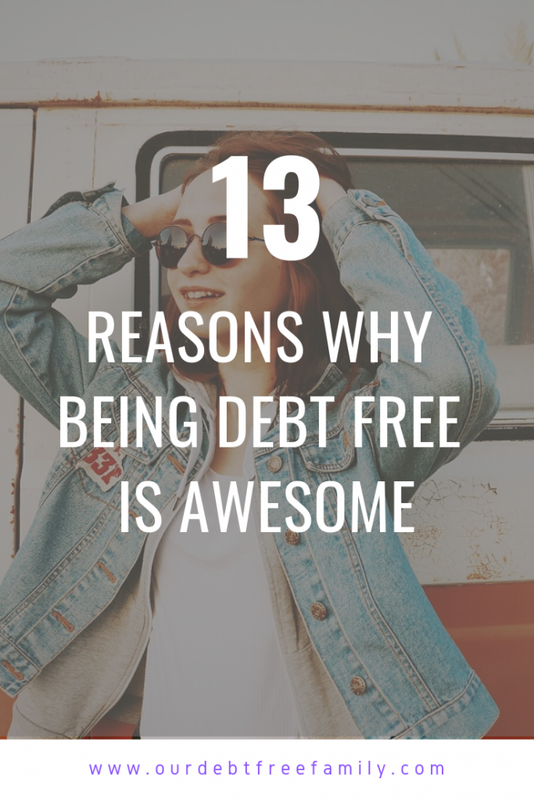 If you haven’t seen my debt freedom progress reports before, each month I bring you a recap of the previous month’s progress on paying off our debt. 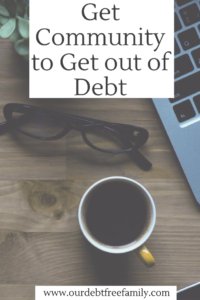 This serves two purposes — to keep my husband Mike and me accountable to our financial goals and to give you a look behind the scenes of our strategy for paying off our debt. This is a little late since we’re already into October, but I wanted to catch you up on our numbers for the summer. Since I took a little break from blogging over the summer due to our move, last week I brought you our June and July 2015 Debt Freedom Progress Report. And this week, I’m catching you up on how much debt we paid off in August when we downsized and moved into our dream house!